Time is everything and customers heading to your store, sometimes, has very little of it. In these kinds of situations, options to quickly find the product they wish and to quickly order the same will indeed make them happy and feel satisfied. That said, DCKAP’s Quick Orders module exactly answers such requirement. With Quick Order module, customers can search multiple products, define quantity, or configure parameters and order right away – all without having to move from the popup. 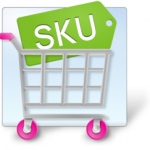 Customers can search a product by either the Name or SKU of the product. Multiple products can be searched, configured and ordered, all at once, simultaneously. 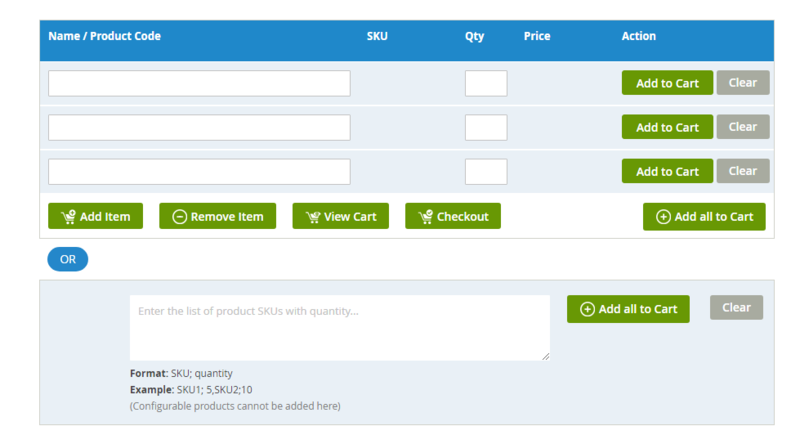 The administrator can change the numbers of rows to be displayed in the popup, which is used to order the products. The module can be deployed as a widget on any CMS page and doesn’t need any coding or design changes. 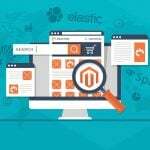 Apart from searching a product, customers can simply type in the SKUs and respective quantity and hit the “Add to cart.” This would be useful for B2B customers. As mentioned earlier, the number of rows that are to be displayed in the module can be configured by the administrator at the backend. 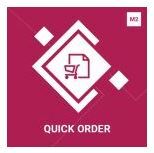 For B2B customers to make an order in a blink of an eye, this module allows typing the SKU and Quantity of a product. That is all. The separator between the SKU and Quantity can be configured as shown below. 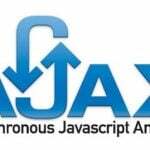 Minimum alphanumeric characters allowed for autocomplete search box can be configured. There are two ways to search a product: (1) Name and (2) SKU. The customer can type either any alphanumeric characters of the product name or directly the product’s SKU. All the customer has to do after searching a product is to define the quantity and click Add to cart. The best thing about Quick Order module is that you could select the color and size of the product from the Popup window itself. There’s no need to visit the product’s page. 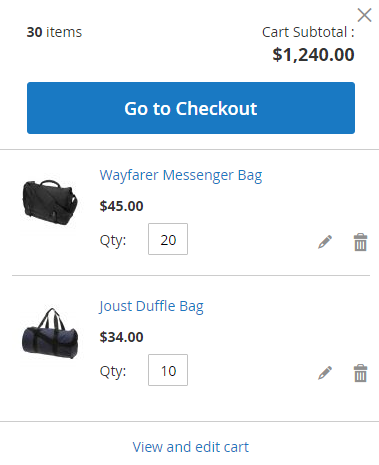 The module also allows you to search multiple products, define the quantity and add all the products at once to the cart using the “Add all to cart” button. For B2B customers, who are pretty sure about the SKU and quantity of the product, this module saves even more time. Just entering these both parameters alone, according to the format given, should do. Once after clicking the Add all to cart button, you could see the items added to cart successfully.